Looking for a ring that stands out from the crowd, with a style that will endure for far more than just a season? 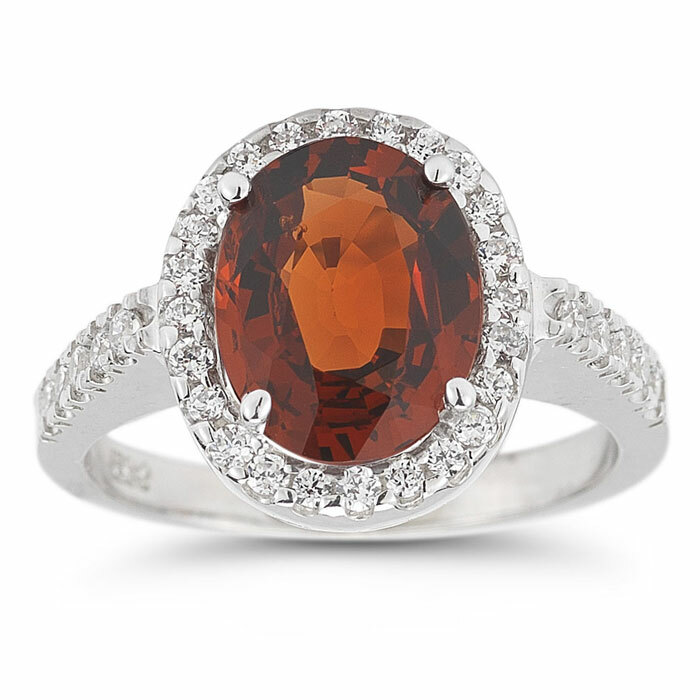 Don't miss this Mandarin Garnet and Diamond Cocktail Ring in 14K White Gold! Although the garnet has been catching eyes for thousands of years, the stunning gem that stars in this ring is a newcomer to jewelry world. The Mandarin garnet was discovered in the early 1990s in Africa, and since then it's been found in just a few small deposits, making it a gem that's rare, both in its scarcity and in its bright beauty. This striking stone has a stunning orangey-red hue that sets it apart from other garnets and allows it to catch eyes in an instant. This vibrant, fiery color gives this ring a daring personality that radiates with confident glamour. 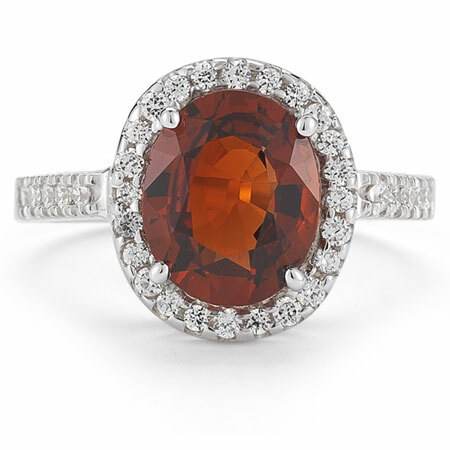 At a full centimeter high and 8mm wide, this oval-shaped Mandarin garnet makes this cocktail ring a true statement piece. Over a third carat of colorless dazzle accents this unique gemstone, contrasting its vivid hue and reflecting it with elegance. Two dozen small round diamonds form a sparkling border around this Mandarin garnet, while 10 additional stones accent the shining 14K white gold band that holds it. We guarantee our Mandarin Garnet and Diamond Cocktail Ring in 14K White Gold to be high quality, authentic jewelry, as described above.